This is the ungrounded linkable Loki 2 lamp holder made of white porcelain with an E27 wire. This fitting is 65 mm high, has a diameter of 44 mm and is suitable for 2-pole cord. Beware! 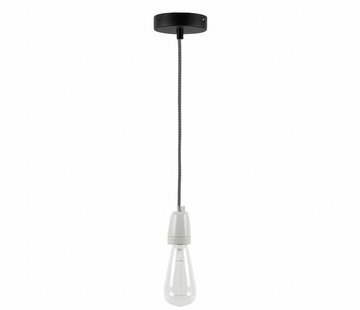 the white colour of this lamp holder is more bright than the lamp holder with article code WLB0362.